I went in for an oil change and was very happy with the entire experience. Customer service from the service department is excellent as well as the price for my oil change. I've never been disappointed in their service... polite and professional with knowledgeable people. Ashleigh Dare, service advisor, is very kind and always make the experience be better. Excellent service and courteous staff! Thank you as always! 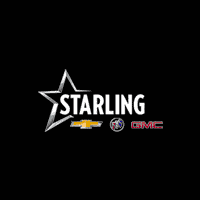 Welcome to Starling Chevrolet Buick GMC! We are your best choice for a St. Cloud, FL Chevrolet, Buick and GMC dealership. For the past 50 years, we have been taking great pride in providing the best customer service to local and Orlando Chevrolet, GMC and Buick drivers. We’re also proud of our employees, our wide selection of new and used vehicles, and the parts and service that we provide to our customers in St. Cloud, FL. At Starling Chevrolet Buick GMC we take your internet queries seriously and will make sure to respond to your questions thoughtfully and promptly. As your Chevrolet, Buick, and GMC dealer in Central Florida, we have repeatedly demonstrated our commitment to customer satisfaction, and we have been recognized year after year for both, our customer service and customer satisfaction. Visit us at 1001 E. Irlo Bronson Hwy, located to the south of East Lake Tohopekaliga, if you are interested in buying a new or used car from our dealership, your regional Orlando GMC, Chevrolet and Buick vehicle source.